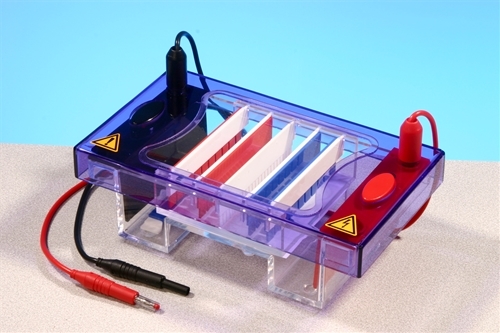 Multi Sub Midi With Gel tray options of 10 x 7cm and 10 x 10cm this unit has been designed for routine horizontal gel electrophoresis. Extending only the width of this unit allows more samples to be resolved per gel than the Multi Sub Mini without a significant increase in buffer or gel volumes. A maximum of 80 samples per gel can be resolved making this unit ideal for those routinely checking high sample numbers over short to medium gel run lengths.